Why 2Fast Track Days and Instructional Schools? 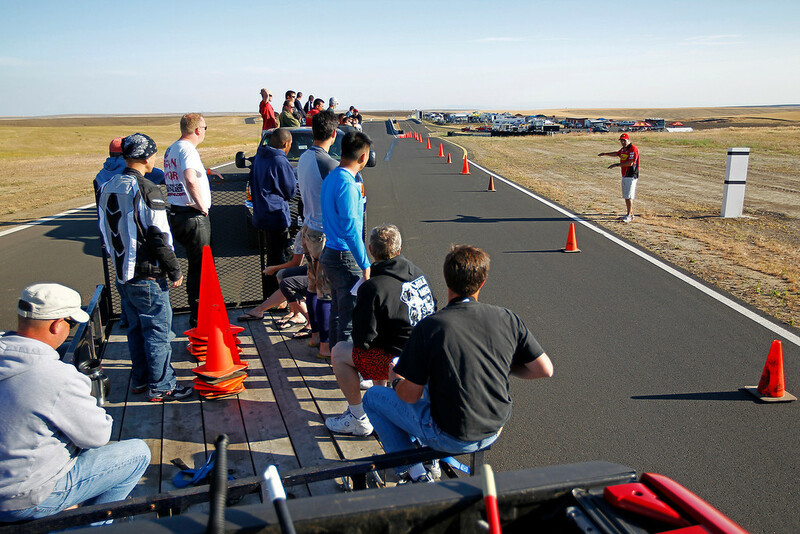 Our one day instructional riding course and track days have raised the bar on safety, punctuality, maximum track time, instruction, and professionalism. Just ask around. Participants of 2Fast Motorcycle Track Days & Instruction know they can look forward to a first class experience at a 2Fast track day. On-Course Marshals: Team 2Fast has its own team of on-course marshals to help increase rider safety. This experienced group of riders spread themselves throughout the course to watch for aggressive or unsafe passes, ensure riders of a particular skill level are joined by riders of the same skill level, and are available for questions should participants need some advice. They are also our first responders to crash incidents or mechanical breakdowns, helping increase response times and operational efficiencies. Corner Workers Throughout the Entire Track: Some of our competitors have no corner workers on the track, while others just ask for volunteers with no training or corner working experience to man a few corners. At 2Fast, we take corner working much more seriously by placing experienced corner workers throughout the track, and each corner worker has a radio so that communication can occur with other corners as well as Pit Lane. 2Fast corner workers follow specific protocol when an incident occurs, and are experienced in how they should respond to various incidents that can happen in their corner. We know of no other organization operating at Pacific Raceways that has the corner working equivalent of 2Fast. Session Participants Riding in Groups Appropriate to their Skill Level: One of the biggest rider complaints at track days is that street riders are in with the racers, and that racers are in riding in slower paced sessions. One rider’s top speed is 100 mph, while another’s is 170 mph in the same session! We do our best to keep this from happening during 2Fast track days where speed differences can be so dramatically different. Thus, we make sure that beginner-level street riders don’t have racers in their sessions, and we try to prohibit aggressive riding and/or aggressive passing in the beginner/relaxed to intermediate level sessions. Air Fence on the Track: 2Fast believes that, while expensive for us to rent, Air Fence can spare a crashed rider serious injury, even death. So our track day events and schools utilize air-fence in the more dangerous corners of Pacific Raceways. While some track day outfits pass on the use of air-fence because of the additional cost (it’s darned expensive), 2Fast does not. We won’t operate without it. Complimentary Track Ride-Around Before the Rider’s Meeting: 2Fast wants every rider to learn the track, know the proper lines, and be knowledgeable. To help riders, particularly new track day participants and first timers, we offer our guests a complimentary ride around at 7:40am where we load up the trucks and head onto the course to show participants what the track looks like, and how to ride it corner by corner. The ride around is usually conducted by owner Mark DeGross personally. Complimentary Mentoring: A rider’s first track day is always an eye opening experience, and there’s plenty to learn. Track days are a whole new world for those who have never been to an event. If you’d like to have someone work with you personally to show you the ropes, ride with you in your first sessions, and/or help you throughout the day… just see owner Mark DeGross. He will be happy to help you find a 2Fast staff member to mentor you.